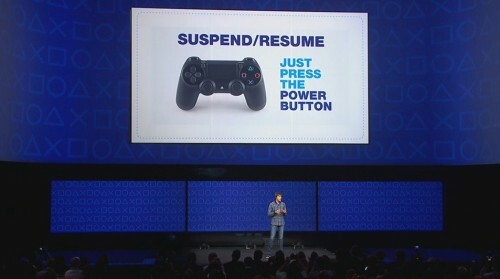 One of the announcements at the PS4 unveiling that I’ve seen get little media coverage is that it will follow in the footsteps of the DS, PSP, 3DS and Vita by supporting suspend/resume across all games. I suspect the reason for the muted response is simply that people don’t realise what a useful feature it is, and I think it’ll be hard to go back once we’ve got used to it. Strangely, this is a feature that became dear to me immediately before Sony’s announcement, when the reveal of Mario & Luigi: Dream Team led me to dig out the first game on my beloved Game Boy Micro. Years of snapping shut whatever iteration of the DS I’m currently playing has made partaking of an RPG on a handheld without it feel less practical, more difficult to fit into snatched moments of gameplay. As excellent as they are, the ports of the 16-bit Final Fantasy games with their requirement of seeking out save points in towns and dungeons just aren’t designed with modern gaming habits in mind. Even with my increased willingness to play a long-form game when sat down in front of the TV, finding a suitable place to stop playing feels like it takes annoying liberties with my time, making it impossible to drop out at a moment’s notice without losing progress. Other media don’t do it. Most DVD players remember the position you left off if you switch off during the movie, and TV habits are now built around pausing live TV and resuming recordings where you last stopped them. And now games won’t either. I’ve seen it written elsewhere that the PS4’s respect for its users’ limited gaming time is its best feature, and I’m inclined to agree. It’s an area where the PS3, with its 20-minute firmware updates, mandatory installations and 500MB patches that lock you out while they download, failed spectacularly, and it’s great to see Sony learning from its mistakes. It’s going one better, not even making downloading the whole game a requirement before you start playing. It never made sense to me that you couldn’t start playing the first level until you’d downloaded the final one, which you might not need for 20+ hours, and now a system’s been designed around fixing that oversight. While the games were fairly uninspiring at this point – I can’t be the only one who laughed at how they followed Killzone 4, inFamous 3 and a racing game with a speech about “creative risks” – full credit to Sony for the design of the system. The PlayStation 4 looks friendly both to develop for and to play on, with genuinely innovative features that make me, not entirely liking the move away from dedicated gaming systems, want to jump in. Your move, Microsoft. How many ads are you going to cram onto the dashboard this time? Considering the esteem in which the franchise is held, Metal Gear has a lot of disappointing instalments. This, however, wasn’t one of them, following up the best in the series – that’s MGS3, for those who aren’t keeping count – and absolutely stomping over the letdown of Portable Ops. This was a proper Metal Gear Solid game, originally planned as MGS5, and it’s a strong contender for my favourite of the lot. Even if the story was mostly utter rubbish, taking a huge dump on some of the best characters, if you let that affect your enjoyment of Metal Gear games they’d never get anywhere near these lists. Cramming console games designed for dual analogue sticks onto portable systems rarely works, and indeed here it takes a period of acclimatisation, but in no time at all I had my head around it and, by the end, I found myself hoping that some of this game’s advances will get ported back to any future MGS games. This is the first one in which I’ve been able to make use of the CQC system, for example, now that it’s been slimmed down and the need to regulate pressure on the buttons as well as direction on the stick has been removed. It’s looking increasingly likely that 2010 could be the PSP’s last year as Sony’s primary handheld console, and despite some of its most impressive games coming out – Persona 3 Portable also deserves a mention – it’s been an ignominious end, with mediocre hardware sales and almost non-existent software ones. This, though, must go down as evidence that the system had more to offer. Aside from its segmented areas – methinks as much down to hardware limitations as it is portable game design – this could have quite easily been a PS2 game, and as that seems to have been the Holy Grail of PSP development since the beginning, it’s one of the biggest compliments I can pay to one of its last great games. What a finale, though, both to the Metal Gear Solid series and the PSP’s viability. I’ve had rocky relationships with both, but they’ll still be missed. The Metal Gear series gets a lot of criticism for its labyrinthine story and ridiculous plot twists – AIs controlling the world by filtering the Internet, anyone? – and I’m no huge fan of it either, but my time with Peace Walker has convinced me of something. Like how Anakin Skywalker/Darth Vader is the real main character in Star Wars, the key player in Metal Gear is not Solid Snake but his ‘father’ and frequent antagonist Big Boss. Considering Kojima’s love of pop culture the similarities in structure can’t be a coincidence – great warrior with good intentions is manipulated into evil, while his son defeats the super weapons of the true villain’s powerful organisation before reconciling with the father shortly before the father’s death – but unlike Star Wars, I actually far prefer the prequels in the Metal Gear Solid series. Snake Eater is the first stop, which is by far my favourite game of the lot. 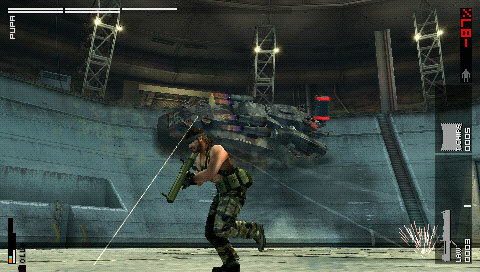 In its Subsistence form with a competent camera, at least – it’s not a coincidence that every MGS game since then has used it – it offers some restraint in its story, a Cold War setting where the series’ brand of nuclear paranoia makes sense, features some of the best boss battles in the series, infinitely more interesting environments than the generic warehouses of Solid Snake’s adventures, and, in Naked Snake and The Boss, has the series’ two best characters. Not to mention my favourite ending in any game ever. Given that downloadable games are The Future of the Games Industry™ and all that, I find it quite funny how this summer has brilliantly illustrated both why it’s so great and the huge challenges that digital distribution will have to overcome if it’s to meet my prediction of being the preferred standard within the next two console generations – accept it and embrace it and you’ll be much happier. On one hand, Microsoft’s apparently annual Summer of Arcade has delivered one of the highest concentrations of great downloadable games that I can remember, not to mention a solid contender for the best downloadable yet. I’ll get to them in a moment, because the enthusiasm is tempered by the complete dropping of the ball that has been its attempt at taking a big leap forward and digitally distributing full retail games, Games on Demand. This is undoubtedly testing the water for where things go with the next Xbox – personally, my money’s on a middle ground where all games are available both on disc and on demand – but so much has been piled against it that it’s impossible to see it being a success on any level. Funny how it’s always Microsoft that can enthral and infuriate at the same time, isn’t it? The fundamentals, bar one big one, are just fine for Games on Demand, with Microsoft even taking a step in the right direction by letting us pay for the games using actual money. It all works as it should, technically speaking, and on a fast connection you can be playing Oblivion or Call of Duty 2 in an hour. The problem, quite obviously, is that they want £19.99 for all those games; they’re £14.99 and £12.71 respectively from Game at the moment. I’m not desperate enough to play four-year-old games that I can’t wait a couple of days for them to be delivered. The problem, I have to suspect, is that there’s some pressure from retailers not to make downloadable games too competitive on price. And by ‘pressure’, I mean ‘don’t make your downloads cheaper than us or we won’t stock your stuff’. Consoles are traditionally kept affordable because retailers accept poor margins on hardware in exchange for high markups on software and accessories, and without that opportunity to make some money back they’re not going to be happy. Why else do you think the PSP Go, which gives you no reason to visit a retail store once you’ve bought it, is selling for such a ridiculous price? It wasn’t all Sony’s idea, that’s for sure. 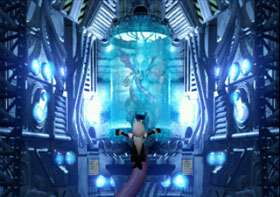 Final Fantasy VII is a perennially popular game, but one that is almost as fashionable to hate. It’s true that it has its flaws and probably isn’t even the best Final Fantasy game, let alone the best RPG ever made, and it’s probably equally true that the reason for its popularity is because it was many players’ first RPG. But even so, there aren’t many games that have spawned a CGI feature film, an anime short film, several novellas and four spin-off games, and I think the only Final Fantasy that would be more anticipated than XIII would be the much-rumoured FFVII remake. It really is a franchise in its own right. Anyway, it was the latest chapter in the Compilation of Final Fantasy VII, Crisis Core, that originally got me interested in revisiting this world. The PSP game is very impressive, but I got the feeling that some things were going over my head, given that I’d never finished Final Fantasy VII. I hadn’t finished a Final Fantasy game full stop, with a save at the end of Final Fantasy IV Advance being the closest I’ve got. Yes, I’m ashamed. PSP: Console of 2008 so far? Sony’s having a funny old generation. The PS3 has gone from being cut adrift to right back in it, and despite being the DS’s whipping boy since they came out in 2004, the PSP is now doing respectable numbers (in hardware, at least), is still gaining features through firmware updates and impressive interoperability with the PS3, and, for my money, has had the best games of all the systems so far this year. I’ve already blogged about the charming Patapon and phenomenal(ly short) God of War, and I’m sure you’re familiar with those recent gems. Crisis Core: Final Fantasy VII is out in the States and looks insanely good for a PSP game; it takes a while to get going and progress from being a fairly monotonous button masher (never thought I’d accuse a Final Fantasy game of being that) to something unique and extremely playable, slightly reminiscent of the real-time-but-not-quite combat of Final Fantasy XII. The strange things that Square’s been doing with this series makes me extremely curious – not to mention anxious – about what FFXIII will do. Technically it’s a 2007 release, but I’ve also been playing Silent Hill Origins, which is a technically impressive and extremely solid entry to the series, that anyone worried about how a Western development team will handle Silent Hill V should take a good look at. That handful of games, together with the always-excellent homebrew community (check out the brilliant Rorschach to see what people can do), have ensured that the PSP has been my most played machine for the first few months of the year. Just like the Wii is never going to be in any danger of being caught by the PS3, the DS and PSP are barely really in competition in that respect. But while the Nintendo machines have had a handful of recent good games – Smash Bros. on the Wii; Apollo Justice and Professor Layton on the DS – the Sony machines have shined this year. Nintendo really doesn’t have much confirmed beyond Mario Kart, while we all know about the PS3’s 2008 lineup and the PSP, while perhaps not having much of its own beyond Crisis Core, will profit from association. Bionic Commando Rearmed, for example, is confirmed to be playable on the PSP via Remote Play. It may be that tepid software sales and rampant piracy has a detrimental effect on the PSP’s future as an independent system, and it’s been accused of being little more than a PS2 port machine in the past (the ironic thing being that several high profile PSP games have now been ported back to PS2), but with any luck its recent software successes will keep the fires burning. Whether as a games machine, a PS3 accessory, or a portable media player (watching films and TV shows on it is great, if occasionally unflattering to the screen’s poor refresh rate), the PSP has been showing itself as a late bloomer. God, this year’s Sony praise is making me feel a bit sick. I’ll be sure to compensate once Ninja Gaiden 2 is out.